Hi all. I have a close friend that is looking to get into the hobby. I'm looking to give him a hand setting up a very small tank. He's looking at probably only getting a 5-6.5 gallon tank. He's considered a betta splendens, but hoping there might be some other options. I've got lots of ideas if it was a 10g+ (and a couple for something so small) but I'd love to hear any suggestions for any plausible microfish. 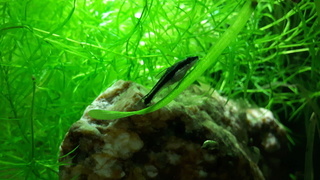 Emerald dwarf rasboras.... Etc. etc. 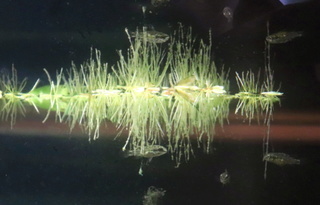 Maybe a shrimp tank with mosquito rasboras? What do I suggest for a 5gal tank? Sorry got nothing other then the previously mentioned Betta. Good luck with the tank. Actually slightly off topic, but I had one of those in my hands at a pet store recently and I almost bought it just for a hoot. After a few minutes of being at a total loss as to what to put in it I put it back down. The only thing I came up with was a small SW tank. A couple of pieces of live rock, one clown fish and a cleaner shrimp. I think Biulu did a good job as I can only think of shrimp at this time as well. @Biulu wrote: Plenty of other options! Definitely a good variety of possibilities. I would try a shrimp only tank : red cherry shrimp or rillies; nice colour and out of the usual choices. 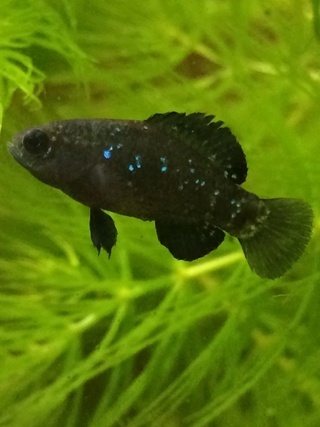 Endlers, the pure type like what guppyguy has. Probably guppyguy is one of the best local sources for pure Endlers. Thank you for the suggestions everyone! I have already passed them along. Excited to lend a hand with this build. @CAAIndie wrote: Thank you for the suggestions everyone! I have already passed them along. Excited to lend a hand with this build. 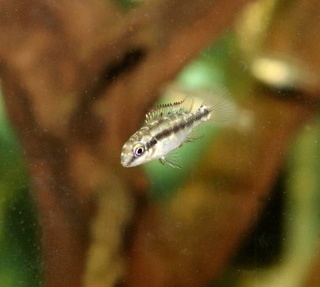 Endlers would be a great choice and lets not forget heterandria formosa as a great fish for a small tank. Guppyguy, are you shipping yet ?? Not yet few more weeks. I have a 5g tank that I have been trying to figure out what to do with it. I have a large tank with a mixed community of fish and fake plants, as I've been too nervous to try live plants. Maybe I should try my hand at live plants in this little tank. Love the fish suggestions for a small tank too. I would love to find some Mosquito rasboras, they are so colourful.